There is a plethora of multi-asset funds in the market, each with a different mandate. From ‘plain vanilla’ balanced funds containing a mix of asset classes, to more complicated long/short and hedging strategies, there is a lot to choose from. We prefer to keep our Stable Fund simple and true to label, with the flexibility to add growth in favourable market conditions. What are we aiming to do that’s different? The Fund’s objective is to outperform cash and we do this by combining cash with select shares that we assess as offering great value. But the difference is that we apply our long–term, contrarian approach to the sharemarket as a whole, not solely at a stock level. This means that our equity exposure fluctuates as the market moves. 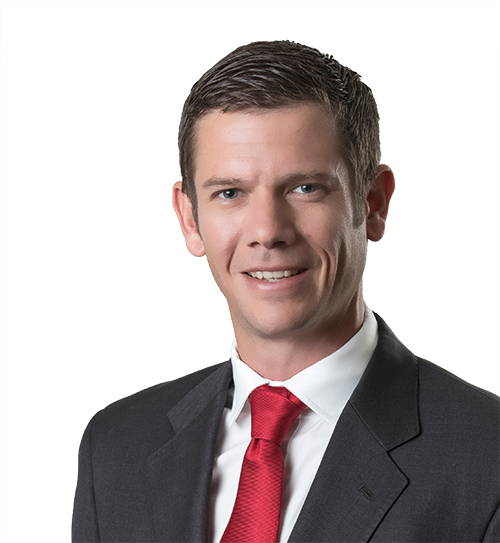 We increase our exposure when we believe shares are cheap and, as the market rises, we allocate more capital to the cash component as we see fewer great value opportunities in shares. This ability to dial up and down the equity component is another feature that makes the Fund different. We want to help investors put their money to work at the most opportune time and reduce risk when the sharemarket is high and cheap investments are scarce. For example, we had reduced our share exposure considerably in the early part of 2018 when the sharemarket was performing well. We added to it again on recent weakness to take current exposure back up to around 30%. This is shown in Graph 1. The grey area of the graph shows the Fund’s exposure to shares, which is around 30% at the time of writing. The remainder of the Fund is invested in cash (predominantly term deposits). 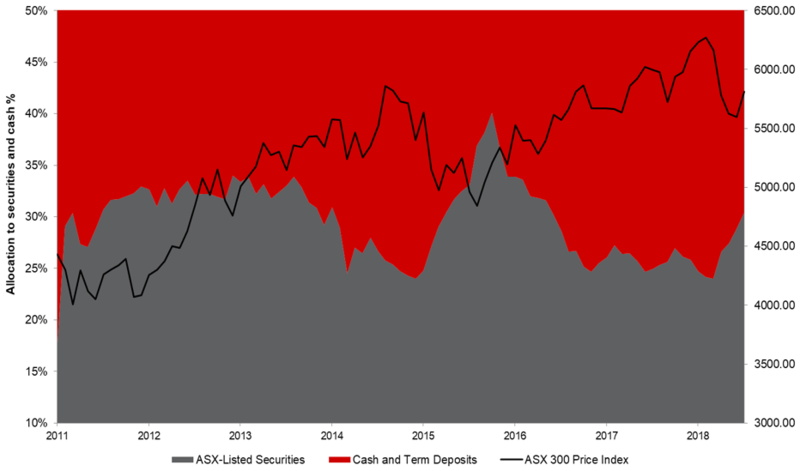 The ASX 300 Price Index is not a measure of performance, but is shown on the chart simply to demonstrate how the Fund’s equity positioning changes over time as the value we see in shares changes. The Fund’s exposure to shares may range between 0-50%, with always between 50-100% in cash. Source: Allan Gray Australia as at 31 January 2019. In the 12 months to the end of January, the Fund has returned 1.5%. Although performance is in line with our benchmark, we are disappointed as our long-term performance is much better. Since launch in 2011 the Fund has delivered an annualised return of 6.7% net of fees, outperforming the benchmark by 4.3% per annum. One year is a short time in investing and we like to focus on long-term performance. Successful long-term investing is not about avoiding uncomfortable times, rather it’s about recognising the potential rewards they offer. Today we believe the negativity toward specific stocks presents a great opportunity for investors, and we are positioned accordingly. 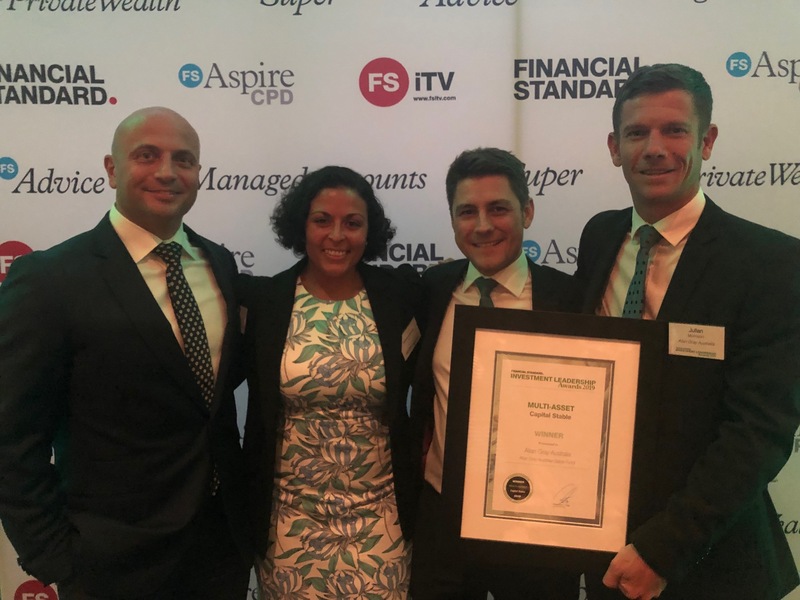 On 13 February our efforts were recognised as our Stable Fund won the Multi-Asset Capital Stable category at the 2019 Financial Standard Investment Leadership awards. For more information on the Allan Gray Australia Stable Fund, please contact our Client Services team or your local Relationship Manager. Past performance is not indicative of future performance. Returns of the Allan Gray Australia Stable Fund are expressed net of fees and assume reinvestment of distributions. I found your Stable Fund whilst doing a comparison of funds on Canstar. Their information puts the 1 year return of this fund, to 28/02/19, at 3.99% but on reading the above you state that it was only 1.5%. I am just wondering where Canstar access their information as they are very different figures. Hi Rikki, we wrote that article in February so we used Fund performance figures from the end of January. Over 12 months from 1 Feb 2018 to 31 Jan 2019 the Fund returned 1.5%. The Canstar figures are taken at the end of February and from 1 March 2018 to 28 Feb 2019 our records show that the Fund returned 4%, which is close to Canstar’s figure of 3.9%. We are not sure where Canstar get their figures from, but if you like you can see the performance figures for all our Funds on the performance page of our website, or look at past fact sheets. Please get in touch if you want any more figures or if we can help with anything else.